Oppo is a popular brand. Its Oppo find Muse r821 was a hit and affordable smartphone with better specs. If you are owning an Oppo R821 phone and it has some issue regarding software then this guide is helpful for you. 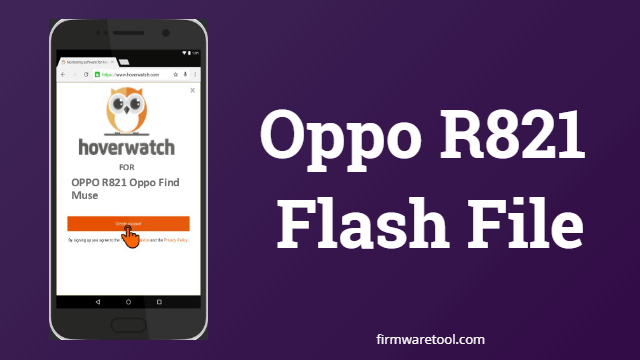 The article provides a free download link to oppo R821 Stock ROM/Firmware and also explains the procedure to flash oppo r821 flash file. you can easily flash your oppo r821 by following the steps provided in below section. before that, you must have some precautions/tasks to do to avoid any problems during flashing process. Keep the phone charging above 50%. Install proper MTK drivers on your PC that supports Oppo r821 stock ROM detection. Backup all your data before doing Oppo r821 stock ROM flashing. Use good quality USB cable only. Flashing stock ROM on your Oppo R821 can solve the phone hang problem. Stock ROM flashing resolves the problem of Screen flickering, screen unresponsiveness, random reboots. Flash Stock ROM on Oppo R821 to fix problems arises due to root. Yoy can clear the rooting of your Oppo R821 by flashing stock ROM. We have provided you the free and virus free download link below. Also extracting the oppo r821 flash file won’t require any password. So enjoy the hassle-free process here only in firmwaretool.com site. Step1: At first download MTK drivers and install it on your PC. Step2: Download Oppo r821 stock ROM from the above section. Step3: Extract the flash file zip using WinZip/WinRAR. Step4: Now, download and extract SP flash tool on your computer. Step5: Click on Flash_tool.exe from the extracted list of flash tool. Step6: Now connect your phone to your PC using the USB cable and wait for the tool to detect it. Step7: From the SP flash tool, select the Android_scatter.txt file from the Stock ROM folder. Step8: Now click on Download button to start the oppo r821 flashing procedure. Step9: Wait for the process to complete the flashing of Oppo r821 stock ROM. Once the flashing process completed, remove the phone from the computer and reboot phone. setup the phone to use it normally.